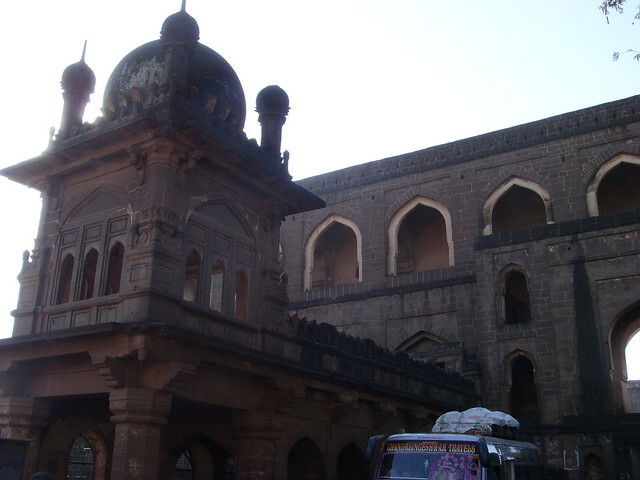 Ali Adil Shah built this Jama Masjid in 15th century after winning over the Talikota in a battle. Sprawling across 10,810 acres, Jama Masjid has wide courtyard inside it. Its arches and domes are exquisite to watch over. The polish floor consists of 2250 black square erected for devotees to offer prayer. It’s the India’s first Mosque which houses the Quran written in gold. The hall which holds the onion shaped dome has 45 compartments. Tourists can see numerous pigeons holes built on the two minarets of this Masjid. Even today prayers are conducted in both Masjid and at the mausoleum.